Siobhan completed her undergraduate dental degree at the University of Queensland, graduating in 2006 with first class honours. She practiced as a general dentist for several years, and during this time was awarded the F.G. Christensen Prize for the highest marks achieved in the Royal Australasian College of Dental Surgeons Primary Examination. In 2010, Siobhan commenced a 3 year full-time Doctorate of Clinical Dentistry in Periodontics at the University of Adelaide. She was subsequently admitted as a Fellow of the RACDS in the special stream of Periodontics in 2013. 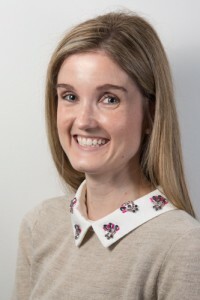 Siobhan has worked in specialist periodontal practice since 2013, and has been involved in the teaching of undergraduate dentistry students at the University of Adelaide. She has served as secretary for the South Australian branch of the Australian Society of Periodontology., and is also a member of the Australian and New Zealand Academy of Periodontology, Australian Dental Association and International Team of Implantology.